Do you have questions about what amiibo are, how they can be used and what you need to use them in your games? Check out the answers to some frequently asked questions below to find out more. 1. What do amiibo do? 2. What different forms do amiibo come in? 3. What do I need to use amiibo? 4. How can I find out which games each amiibo is compatible with? 5. Are all amiibo compatible with every software title? 6. Can I play amiibo-compatible software without owning an amiibo? 7. If I store game data on an amiibo, does that mean I can't use that amiibo with other games? 8. What can I modify in "amiibo" in Nintendo Switch System Settings, "amiibo Settings" in Wii U System Settings, and Nintendo 3DS HOME Menu Settings? 9. How much game data can I store on an amiibo at any one time? 10. How do I delete game data saved on an amiibo? 11. Can game data be transferred from one amiibo to another? 12. Can I repair or modify amiibo? 13. Do amiibo require batteries? 14. Can I play as my amiibo in Super Smash Bros. for Nintendo 3DS/Wii U? 15. 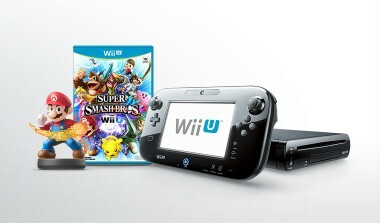 Can I use amiibo with Super Smash Bros. for Nintendo 3DS? amiibo are interactive figures and cards that can give you access to extra content or other features in compatible software. The effects vary depending on each compatible game: in The Legend of Zelda: Breath of the Wild, you can use the Wolf Link amiibo to summon that character to join you as an ally, while in Super Smash Bros. for Nintendo 3DS and Wii U it's possible to train a fighter to spar against or alongside. Find out more about what amiibo can do in our About amiibo section. Some amiibo are figures, while others are cards or made out of knitted material, but they act the same way and can do the same things no matter which form they're in! If you have a compatible amiibo, you can tap it while playing compatible software to power up your gameplay in different ways! As long as you have an amiibo, all you need is software that’s compatible with amiibo. When using amiibo on Nintendo Switch, Wii U, New Nintendo 3DS, New Nintendo 3DS XL and New Nintendo 2DS XL, no additional accessories are required. If you wish to use amiibo on your Nintendo 3DS, Nintendo 3DS XL or Nintendo 2DS, you will need the NFC Reader/Writer accessory that’s due to be released on October 2nd. The games that are compatible with each amiibo are listed on each amiibo’s page, accessed via the Line-up page. Brief details on what the amiibo does in each game can also be found here. You can also see which amiibo are compatible with each game by using the filtering options on our Line-up page. No, amiibo are only compatible with certain software titles. You can find out which titles are compatible with amiibo, and find out what different amiibo do in each game, in our Line-up section. A software update may be required to use amiibo functionality in amiibo compatible games. A system update may also be required to use amiibo functionality. Yes, you can still play amiibo-compatible games without an amiibo. However, you won’t be able to use the amiibo functionality of these games without an amiibo. 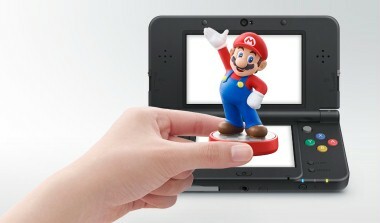 Certain games, such as amiibo Touch & Player: Nintendo Classics Highlights, require amiibo. 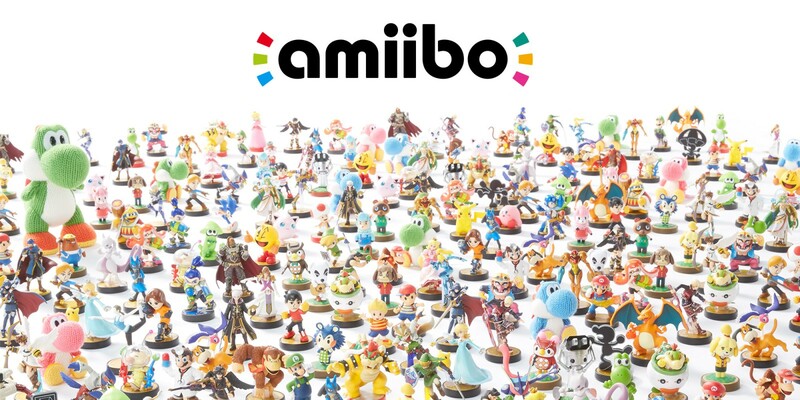 Please visit each individual game's website for information about how amiibo are used. 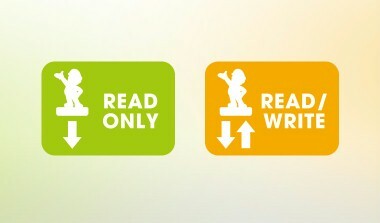 amiibo-compatible games are separated into two types: "read/write" and "read" . Games that use the read/write functionality of amiibo can both save and read data to and from an amiibo. Games that use the read functionality of amiibo only read data from an amiibo. If you use an amiibo with a game that uses the read/write functionality, for instance Super Smash Bros. for Wii U, you can still use the same amiibo in other games that use only the read functionality, such as Super Mario Maker on Wii U. However, a single amiibo can only be used with one game that uses the read/write functionality at a time. To use a different game that uses the read/write functionality with the same amiibo, the data must first be cleared from the amiibo using "Delete Game Data" in Nintendo Switch System Settings, “amiibo Settings” in Wii U System Settings, or in HOME Menu Settings on Nintendo 3DS family systems. You can register a nickname and link a Mii to an amiibo with the “Register Owner and Nickname” option. The "Delete Game Data" option on Nintendo Switch or “Delete amiibo Game Data” option on Wii U and Nintendo 3DS family systems can be used to delete save data from the amiibo. This will allow you to save data from another game that uses the read/write functionality. In addition, you can reset and clear all settings from an amiibo, including nickname and Mii data, with the “Reset amiibo” option. You can store game data for a single game that uses the read/write functionality on an amiibo. To use the amiibo with another game that uses the read/write functionality, you will need to delete the game data from the amiibo. However, even if you have game data stored, an amiibo can still be used in games that use the read functionality at any time. 1: Go to "amiibo" in the Nintendo Switch System Settings. 2: Select "Delete Game Data" and follow the on-screen instructions. 1: Go to "amiibo Settings" in the HOME Menu Settings on Nintendo 3DS family systems. 2: Select "Delete amiibo Game Data" and follow the on-screen instructions. 1: Go to "amiibo Settings" in the Wii U System Settings. In addition, you can completely reset an amiibo by selecting the “Reset amiibo” option and following the on-screen instructions. No, game data cannot be transferred between amiibo. No, it’s not possible to repair or modify amiibo. Please contact our Customer Support if you have any issues with your amiibo. No, amiibo don’t require batteries. While you don't directly control your amiibo character in Super Smash Bros. for Nintendo 3DS/Wii U, you can train and level up your character and customise its fighting style. You can then battle against your amiibo fighter, team up with them, or send into battle against other players' amiibo fighters. Visit our About amiibo section to find out more about what amiibo can do in compatible software. A software update is now available that enables amiibo features in Super Smash Bros. for Nintendo 3DS when playing on New Nintendo 3DS, New Nintendo 3DS XL and New Nintendo 2DS XL. Find out more in our Support section. If you wish to use amiibo on your Nintendo 3DS, Nintendo 3DS XL or Nintendo 2DS, you will need the additional NFC Reader/Writer accessory (sold separately). 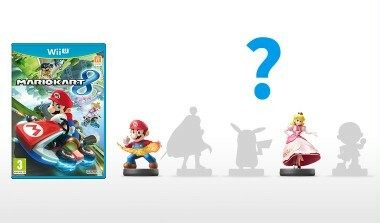 Have any further questions about amiibo? Please contact our Customer Support for more information.